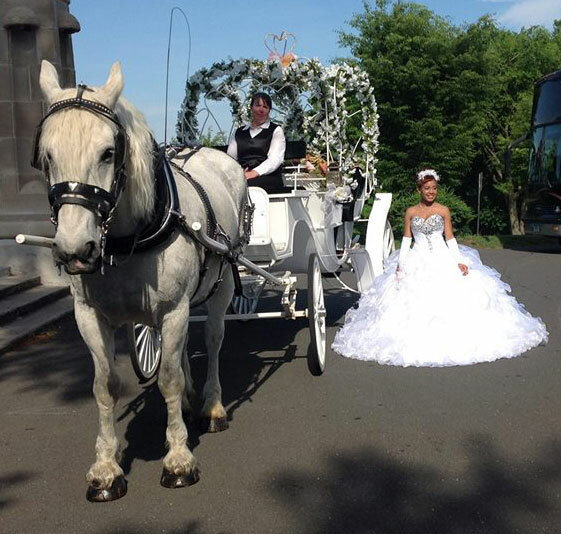 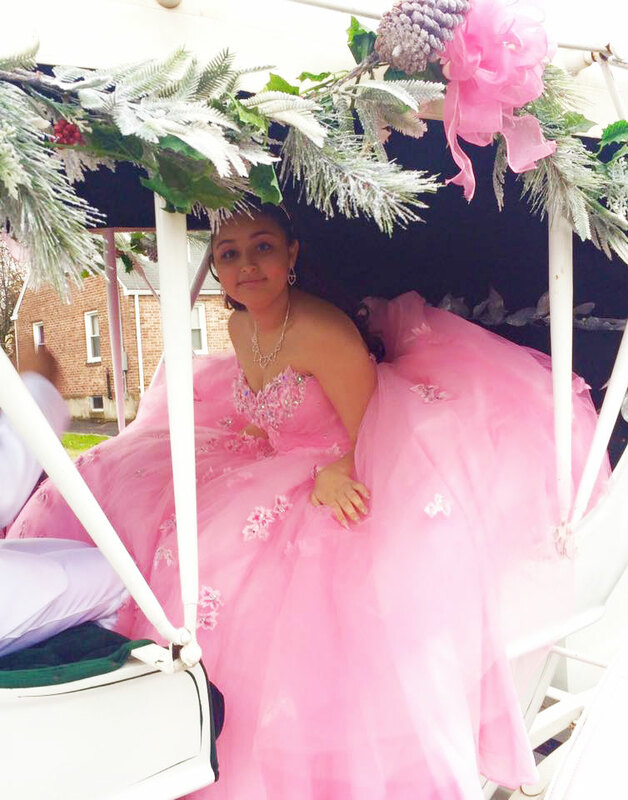 Quinceannerra, Sweet 16, Birthday Parties and Proms - What better way to enjoy your special day than with a horse drawn carriage! 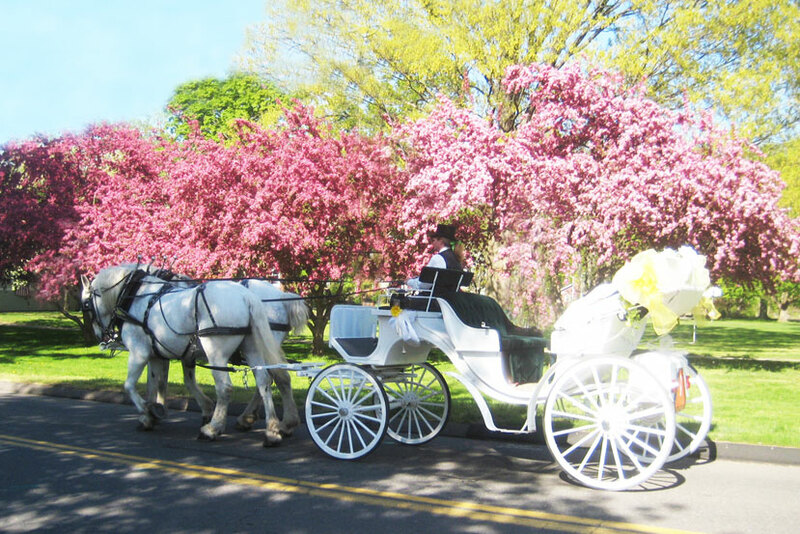 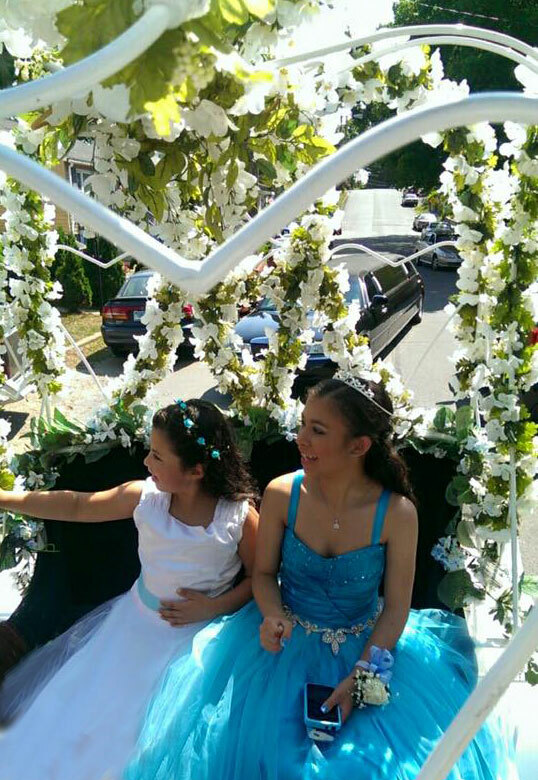 Our Cinderella Carriage and white vis-a-vis are perfect for the birthday girl and a few of her attendants (these carriages hold four passengers). 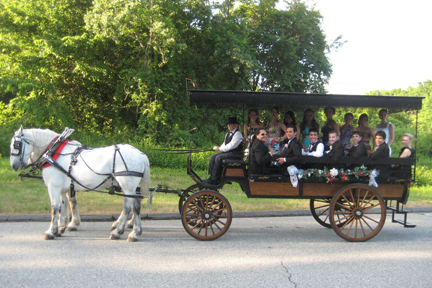 Our Surrey-top Wagonette is perfect for a larger group, and will accommodate as many as 14 - 16 passengers. 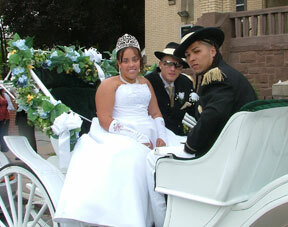 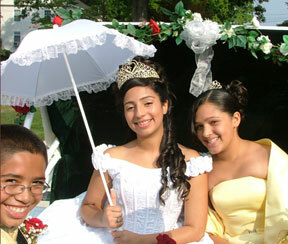 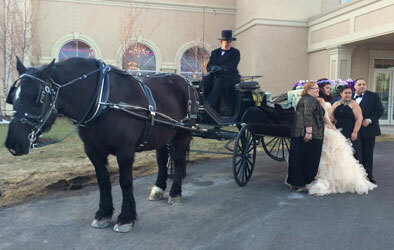 All our carriages will be tastefully decorated in your party colors and theme. 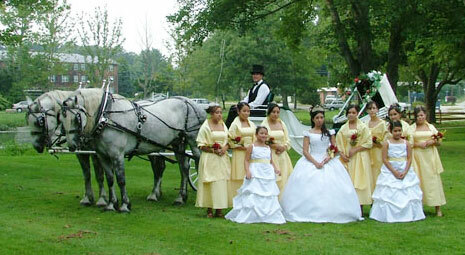 See more at our sister website: www.cinderellacarriageCT.com.